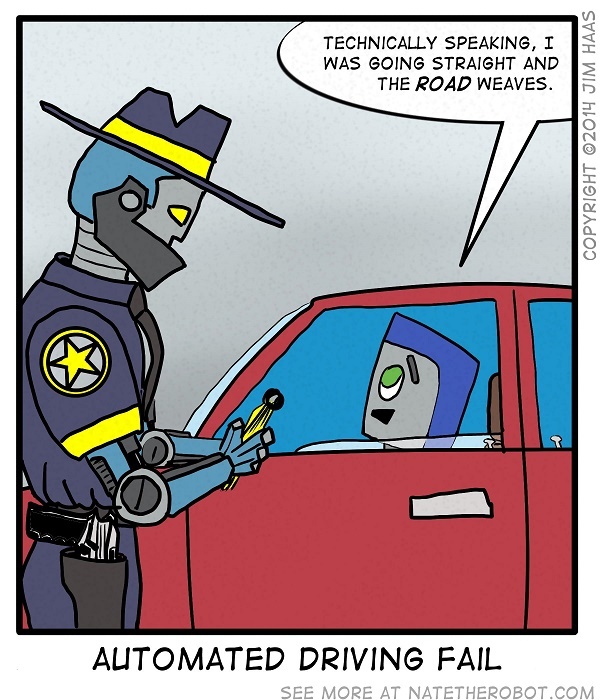 Robot ‘advances’ in Automated Driving. 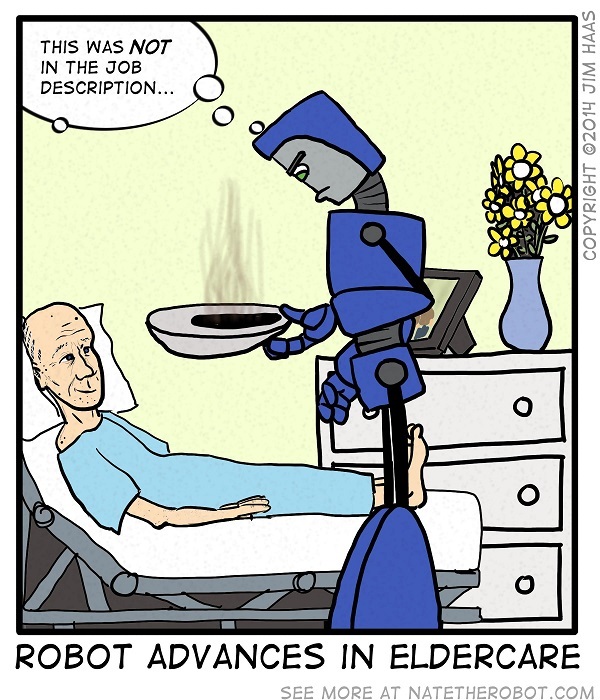 Nate the Robot takes on eldercare! 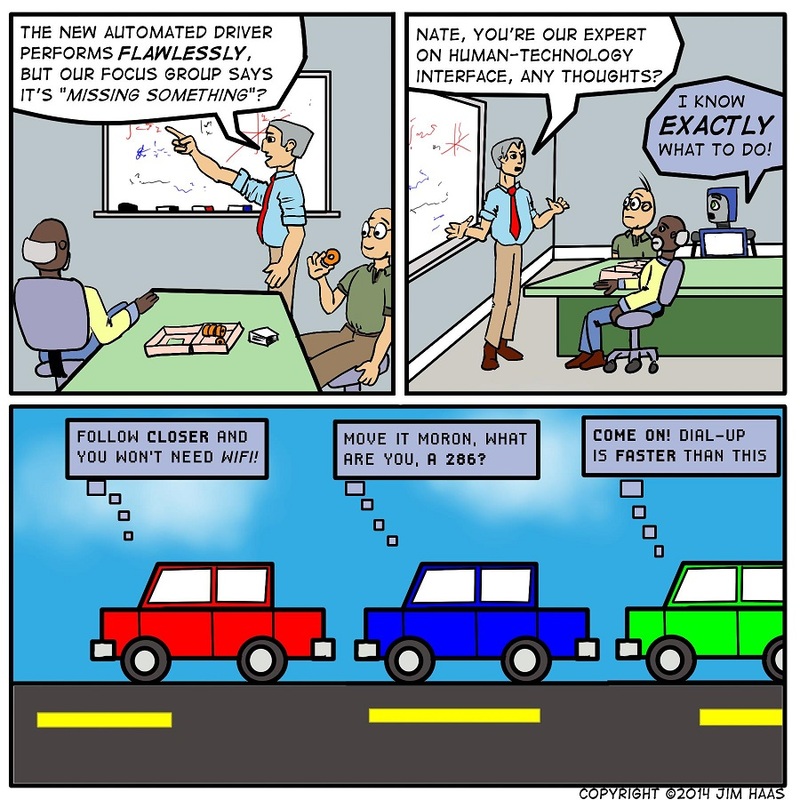 Automated Driving: Upcoming Change in Perspective? 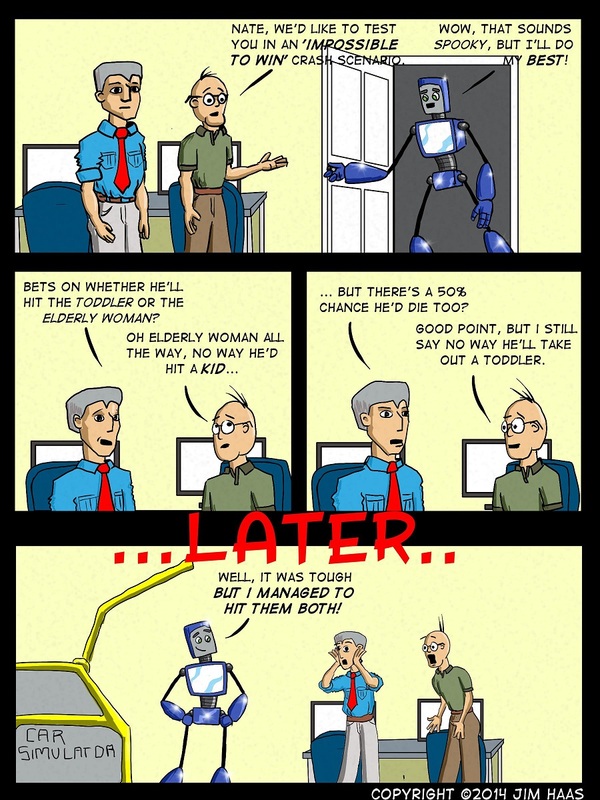 While Nate doesn’t appear in today’s comic, you can learn more about Nate’s wacky life at his Website. 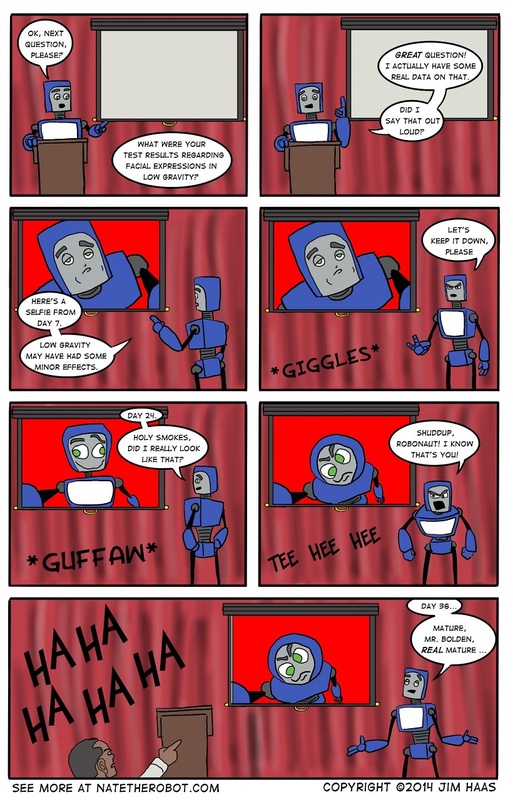 In the comments below, tell me, what questions would researchers want answered about Nate’s experiences on Mars? I’ll select the best and make comics out of them (showing how Nate answers) in the next few weeks, and we can find out what kind of trouble Nate gets into . . . I guess all those other Mars rovers just landed in the wrong spot? I had this idea yesterday to try something a little different. In the comments below, tell me, what questions would researchers want answered about Nate’s experiences on Mars? I’ll select the best and make comics out of them (showing how Nate answers) in the next few weeks, and we can find out what kind of trouble Nate gets into . . . The mission to Mars concludes now that Nate is back on Earth, but do you think the adventure is really over? Learn more about Nate’s wacky life at his Website. Stay tuned next week for the exciting conclusion of Nate’s “mission to Mars” experience. As always, remember you can see more at Nate’s Website. We all know that the first thing we’d want to do on a planet with low gravity is a Michael Jordon dunk.